Walking in to your first music lesson ever can be pretty scary. Especially if you've never done it before — what do you even DO in a music lesson? When you're first starting out, you've got a LOT to learn. So a huge portion of your first lesson will be spent learning new concepts like music reading and rhythm and the proper way to hold your instrument. Your teacher will probably start you out on short & simple songs like "Mary Had A Little Lamb." But don't worry, once you show you teacher you can tackle the easy stuff, you'll move on to more difficult songs! In fact, you might not even play your instrument at all. Some instruments require a LOT of technique work that must be practiced before you even play the instrument. I remember being so disappointed during my first violin lesson when we spent the entire lesson on technique and learning about the instrument. I didn't even get to play the violin! But my teacher knew what she was doing. It turns out that first week of practicing just holding the violin and the bow was what set me up for success later on — because when I DID start to play songs, I could focus on getting the notes right and didn't have to think about the technique as much. Instruments are tricky. 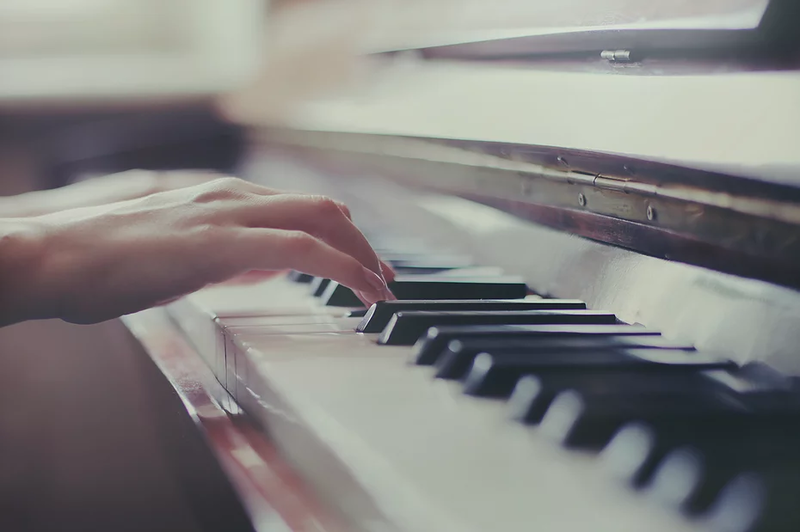 Chances are, you're going to need to develop some muscle coordination in areas that you've never needed to use before — like holding your wrist at a specific angle, or keeping all of the knuckles in your finger slightly curved while you press the piano keys. Your teacher will do a lot of adjusting to make sure you're using the right muscles as you play. Don't get frustrated when they correct you — remember, they're helping you! Technique issues can cause pain and injury if they're not corrected early enough. YOU'LL HAVE A LOT OF FUN! No matter how difficult learning your instrument is, remember this: You're there to have fun! If you're thinking about signing up for lessons but aren't sure if they're right for you, reach out to us and we'll be able to answer any questions you might have!